Made of a translucent thermo-elastic rubber. Chuck it, squish it, stretch it, sqeeze it! 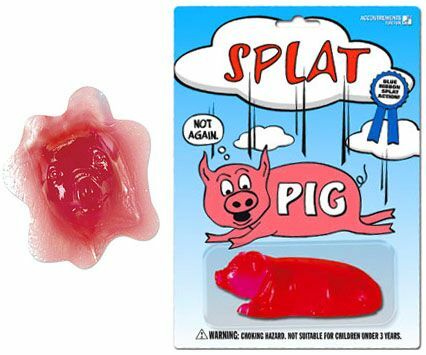 The worlds most pliable porker, Splat pig will always snap back into its original shape!